Audiobook – iTunes MP4 (.m4b) format – plays on iTunes, Quicktime, Windows Media Player, Winamp, Media Player Classic, VLC etc. 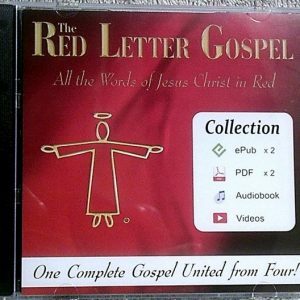 Listen to the entire Gospel Story of Jesus Christ in less than Seven Hours! The download instructions will be emailed to you when you complete your purchase. 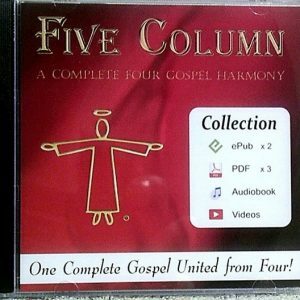 The Synoptic Gospel – Audiobook MP4 format (iTunes .m4b) – Download. Hear the entire Gospel Story in less than 7 hours! Narrated by Daniel John, with music at the start of each of the ten Chapters. Plays on iTunes, Quicktime, Windows Media Player, Winamp, Media Player Classic, VLC etc. INSTANT DOWNLOAD from Google Drive! Download the instructions when you complete your purchase. You can access the online folder and download the file even if you do not have a Google account (or gmail). 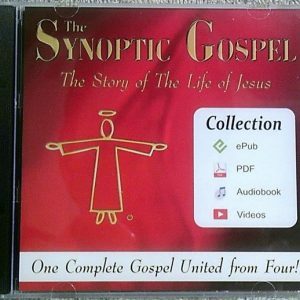 If you encounter any problems send an email to sales@synopticgospel.com.